St. Joseph Car Rentals is one of the leading car hire companies in Gozo, offering one of the largest fleet of cars with different categories. All cars are offered with fully comprehensive insurance and free mileage. 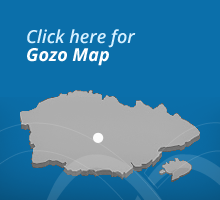 Delivery and collection of car to your place of residence in Gozo is free of charge. If you are looking for the best Car Hire rates send us an email with all your requirements and length of stay and we will quote you a good package.